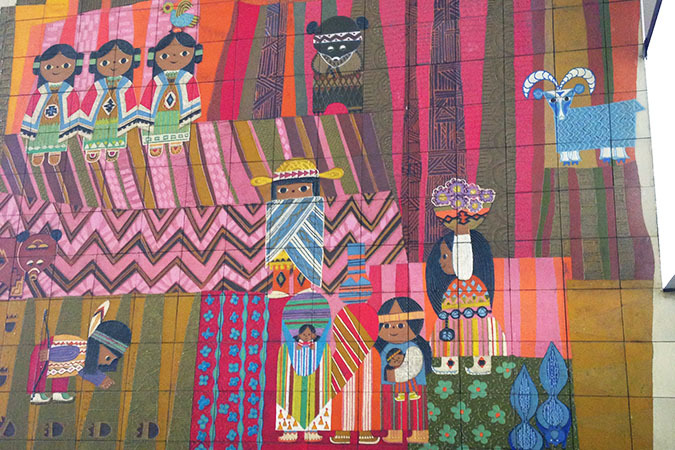 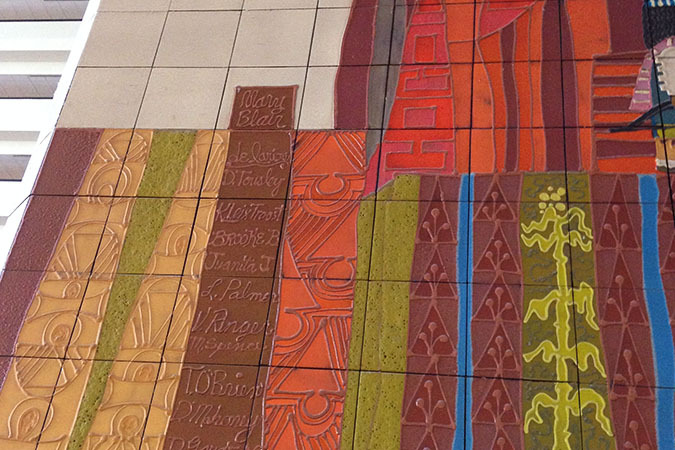 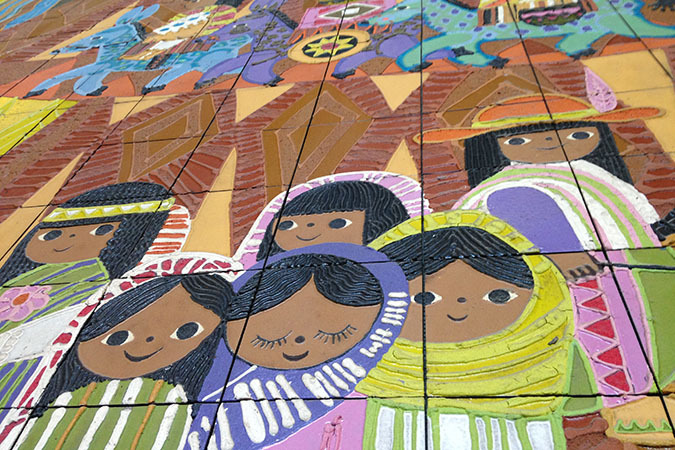 When we were at Disney in April I knew I wanted to make sure and check out Mary Blair’s beautiful tile mural in the Contemporary Resort. 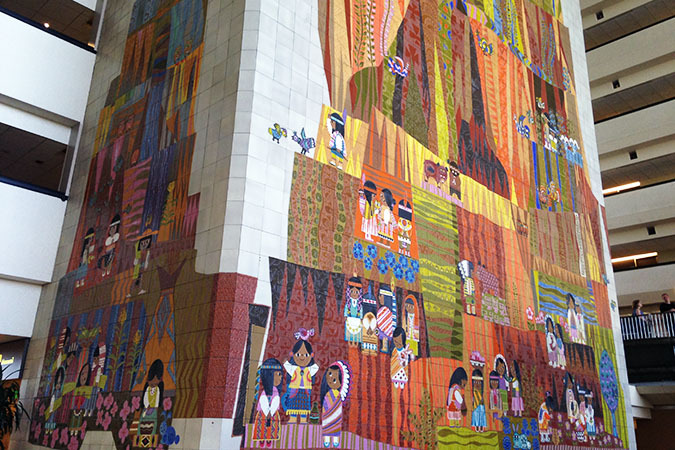 Seven stories high the mural consists of 18,000 hand-painted tiles!! 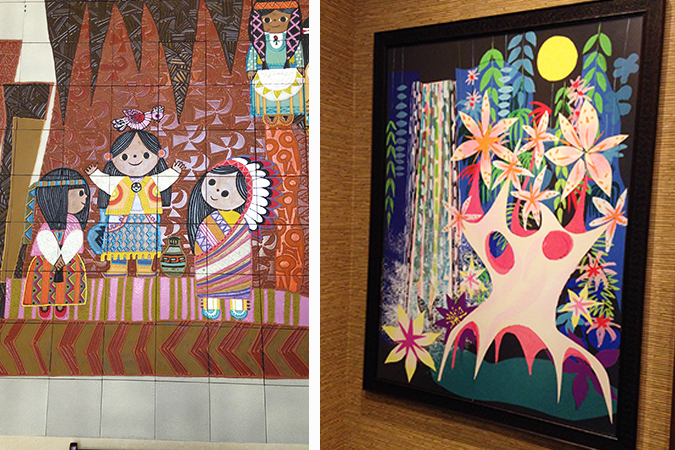 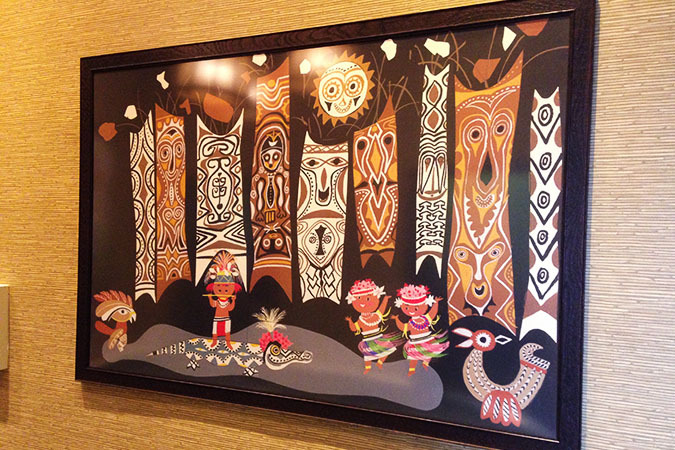 Below are a couple of photos I took at The Polynesian of concept art by Mary Blair.